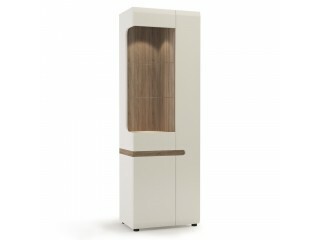 > Narrow TV cabinet - ADEL - Modern living room furniture - high gloss. 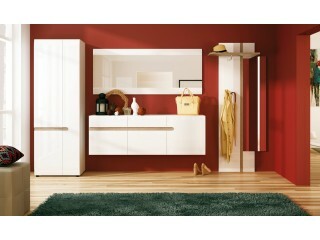 Narrow TV cabinet - ADEL - Modern living room furniture - high gloss. The ADEL range of living room furniture has been designed in a white gloss with an oak trim. 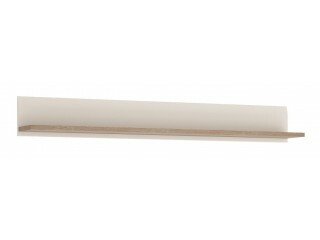 The oak trim combines to give a modern handle free solution. The ADEL range of furniture gives off a sleek, clean, streamline and stylish design which has MDF laminated board which is resistant to damage and scratches, moisture and high temperature. 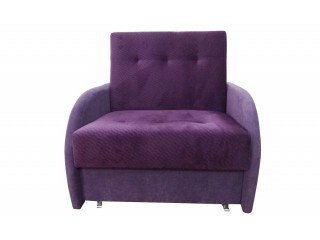 Furniture comes flat packed with with all fittings and manuals needed to assemble the item. Create your own set and Get 5 % off when you Buy 4 or more elements from ADEL collection !! !